The transition is live. Following decades of ‘growth,’ leading to the creation of the most unbalanced industrial economy in history, the shift has begun. Today we are going to dive deep and explore the inception of The Entrepreneurship Era. The movement to resolve societies biggest problems and restore balance into the economy has begun; however, it is not being led by the traditional suspects, business leaders and politicians, but by dyed-in-the-wool entrepreneurs. After watching the destruction of the global economy from the sidelines, entrepreneurs have awakened and moved back onto the playing field. With resources mobilized and an ecosystem in place, they are ready to open up their big-game playbook and start building the new economy. This is The Entrepreneurship Era. While different, the two are not mutually exclusive. A businessman, on one hand, can launch a venture with capital at risk, which can theoretically be measured on an Excel spreadsheet. An entrepreneur, on the other hand, has to manage capital risk in addition to social, cultural and emotional risk, the majority of which cannot be measured statistically. entrepreneurship should be synonymous with solving a societal problem; in today’s world, many businessmen call themselves entrepreneurs and make buckets of money without adding any value to society. To be an entrepreneur does mean you need to reinvent the wheel (ie. innovate). Nor do you necessarily need to build something from scratch, as entrepreneurship can be achieved from within existing organizations as well. But you do need to be working towards a high-level objective at something where the end result is about more than just the money being made. New research shows that approximately 3.5 – 5% of the population are hard-wired to be ‘opportunity entrepreneurs,’ those who innately scan the horizon for opportunities to make an impact. The question is, what has happened in recent years to suddenly ignite the internal flame and propel entrepreneurs into action? The Financial Crisis in 2008 sent shockwaves through the entire global economy and served as a big wake up call for many. Even those who weren’t laid off were suddenly forced to start asking the question, what’s happening here? Thus the entrepreneurs who put their college dreams of building a business on the backburner for an i-banking career suddenly started to reflect and look at opportunities to add real value to society. No matter what side of the global warming / climate change debate you stand on, there is no denying that we face unprecedented environmental challenges related to ecosystem destruction, deforestation, resource depletion, etc. With politicians engaging in endless banter and big business pulling the patrimony puppet strings, somebody else has to step up. Thus those entrepreneurs with an inherent eco-consciousness and domain knowledge have started to take matters into their own hands and develop solutions from the ground up. With youth unemployment levels topping 20% in countries across Europe and LatAm, and youth underemployment critically affecting youth in countries such as Canada, youth joblessness is a time bomb that ticks louder with each passing day. Young guns from around the world have heard the call – shakeup global business and bring GEN Y back into the economy – and are beginning to answer the bell by building their own businesses. social-media usage has exploded in the last five years around the planet. The advent of social networks has given entrepreneurs the ability to mobilize people behind their brand and move their message into new markets without spending a dime. today, the playing field for early-stage enterprises has leveled off substantially and social media has become the new medium for customer engagement. now, all any entrepreneur needs is a smartphone and Skype, and they can connect with anyone at anytime from anywhere on the planet, for free. 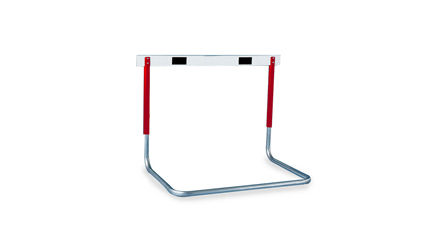 raising capital, especially at the seed stage, is the biggest barrier for entrepreneurs bar none. The inception of the crowdfunding movement was a direct result of the need for a more efficient and transparent way for entrepreneurs to raise capital. today, entrepreneurs can use donation-based platforms to raise money for their early-stage ideas almost anywhere in the world, and in a few countries they can use specialized platforms for equity-based crowdfunding. 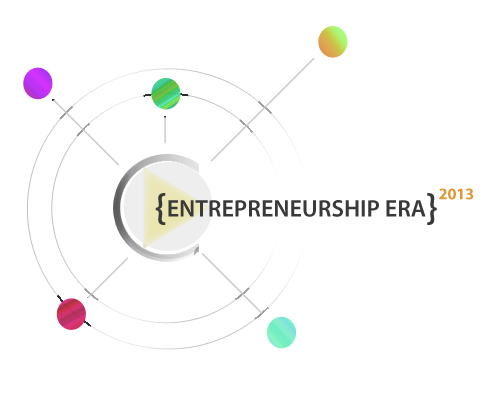 These three elements have acted as the key drivers in the creation of The Entrepreneurship Era. Now the question is, what needs to happen for it to reach the next level? Once many entrepreneurs get started, they bury their head in the sand and become myopically focused on building their own enterprise. In today’s world, we need entrepreneurs to search out other entrepreneurs and partners in similar circumstances and start developing hives, physical and virtual workplaces, to collaborate. The future is less about one big idea and more about a big collection of small ones. While a few ironclad entrepreneurs have been able to successfully put the pieces together and launch their ventures, millions are waiting on the sidelines because they simply don’t have all the tools to launch a new company. Incubators and workshops are great, but what we really need is active entrepreneurs to educate sideline entrepreneurs by giving them practical advice and sharing real experiences (E2E). This could include providing short-term shadowing opportunities, sharing live case studies, or launching a weekly videocast to talk about what’s happening in the trenches. It’s not celebrity entrepreneurs that people need to follow, it’s those who are one or two steps above them. creating efficient grant programs for youth entrepreneurs who need small sums ($2,500 – $10,000) to cover their living expenses while they research new ideas. Overall, the call to bring big-picture solutions to pressing problems and restore balance to the global economy is being answered by entrepreneurs everywhere; but the work has only just begun. The shift to a more fluid and balanced economy requires deep collaboration and global action, from everybody. So get on board and join the movement, because the impact is imminent! What do you think entrepreneurs need to be able to scale their impact? The time has come to shake the deck. We need to stop wasting time trying to reinvent the old for the millionth time and bring in the new – the time has come for the new-era business. That’s why we are introducing the Building Blocks for the New-Era Business, an experimental approach for building future-focused businesses from the ground up. What is the new-era business? The defining feature of the new-era business is that it actually matters – to people – not just politicians or economists looking to add another sliver to GDP. The new-era business is built to solve a real problem for a substantial portion of the population, not to superficially address a cosmetic problem for people with iPhones. The new-era business does not focus on the accomplishments of the entrepreneurs based on the size of their exit, but rather on the collective impact that the business achieved for its intended market. How is the new-era business born? The new-era business is developed from the ground up based on substantiated market demand that proves that a real need for the product or service exists. It leverages the power of social networks and modern technology to harvest relevant information that prove that the business has both the potential to make an impact and scale. Whether the need is global or local, the new-era business is born with the ambition to become a sustainable brand that matters in the eyes of its customers for the long term. 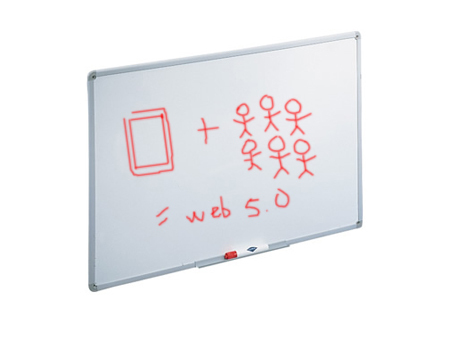 With that in mind, we propose the following as the Building Blocks for the New-Era Business. This is of course an experiment, and it is simply designed to spark the process of creating companies that will get people excited again. We will be progressively rolling out phases of it over the summer on the blog – feedback will be incorporated, new ideas will be considered and examples will be shared. Before we go into the PLAN components, it is important to realize that not every venture requires a PLAN, and some businesses require more planning than others. It depends on a number of variables, including the personality of the entrepreneur, the phase of the business and the type of market being entered. What we are trying to do here is put the core tools in play and develop a skeleton process to get things rolling. What we do not recommend, without hesitation, is taking an idea straight from your head to the TEST phase. At the very least, prototype your idea (see blog post Prototyping Ideas: A Visual Process (click here) and solicit some feedback. A blog will be written about each component listed above over the course of the summer, and a corresponding experimental Toolkit will be released for people to test. As a proof of concept, run a crowdfunding (CF) campaign to validate the demand for your business. The campaign can be launched at a small scale initially to simply get an idea of how strong demand is, or you can try and raise enough to launch the business and prove the concept at the same time (ie. Pebble E-paper Watch). In the future, when legalized in your country (likely 2014 or later in most countries), you will be able to use crowdfunding to raise equity funds (crowdinvesting) for your business. Watch the Seedrs site (click here) for examples of crowdinvesting for startups and small businesses. 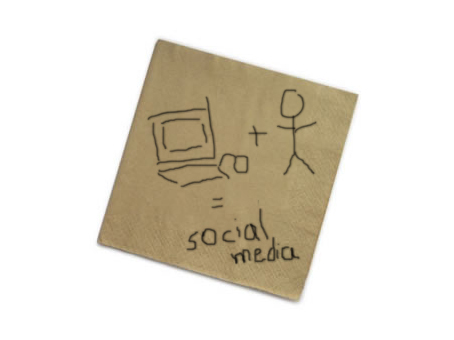 Once you have the plan ready (which of course will change) and you know that the demand is there, it’s time to take advantage of the social networks (SN) to spread your idea like wildfire. And those are the Building Blocks for the New-Era Business as we see them today. Comments, feedback and ideas please! 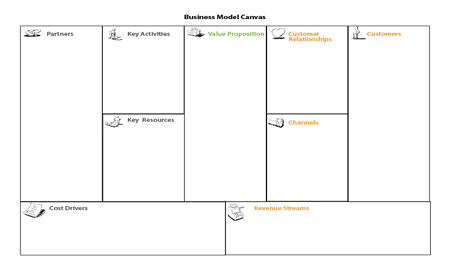 Keep your eye on the blog, as we will write a post about the Business Model (BM) Canvas, Financial Model (FM) template and Strategy (ST) kit. Additionally, we will be releasing a ‘beta’ version of a Step-by-Step Toolkit, for people who are not familiar with these concepts, at the end of the summer. Brazil – it’s a country that has captured the attention of many around the world, sometimes for good reasons, other times for not-so-good ones. No matter which way you slice it, however, the future is bright for the superpower in the South. Recently, I spent several weeks in big, bad Brazil, so I thought it would be fun to recount a little bit of what I saw, and talk about why I believe Brazil is the future frontier for companies of all shapes and sizes. It isn’t until you are about to touch down on the ground of Garulhos international airport in Sao Paulo that Brazil really hits you. As your plane makes its descent into the urban megalopolis that is Sao Paulo, you begin to realize that you have probably never seen what you are about to see. Brazil is big, its bad, and its bold, and it doesn’t take you long to understand that there is much more to the country than what meets the eye. For the past number of years, the majority of media attention in relation to Brazil has been about a rapidly growing economy, Carnaval and the 2014 World Cup. The moment you step out of your taxi into any one of Brazil’s many urban jungles, however, you begin to see that Brazil is really about its people, the culture and the story of its emergence as a nation, a story that is only beginning to be written now after decades in despair. The first thing that strikes you about Brazil, other than its size, is its vibrancy. The streets of Brazil are alive and there is an energy in the air like no other. An array of colours decorate the streets and numerous aromas fill the air, as the Brazilian people have awaken to the reality that their time has finally come to step into the spotlight. Despite the energy and enthusiasm that greets you, there are also a few startling realities that don’t take long to identify. Poverty, traffic, and pollution, are a few of the more prominent issues, but it is the income disparity between rich and poor that is truly shocking. All in all, the combination of different elements makes it quite a shock for the average Western foreigner making his/her first trip into the big Brazilian cities. But once the shock wears off, and you start to settle into the Brazilian culture, you begin to realize that there is something special going on in this country. I arrived in Brazil in mid-January and spent a little over five weeks exploring various cities and parts of the country. The focus of my trip was the new crowdfunding trend (I wrote about my trip here at www.mycrowdfundingstudy.com), which began back in January of 2011 when Catarse (www.catarse.me) launched the first crowdfunding platform in Brazil. During my study, I had a chance to experience the culture, learn the language, and get a glimpse of what I believe will be one of the most exciting and robust markets for decades to come. A year ago, I wrote a blog post titled, Brazil: An Emerging Hotbed for Entrepreneurs, discussing the reasons I believed Brazil would become a global hotspot for entrepreneurs. During my trip, I met a lot of entrepreneurs and had a chance to learn about both the culture of everyday Brazil and the business culture there. Just to simplify it, I am going to break down Brazil as I see it today, and where I see Brazil going in the future. Culture – the Brazilian culture is open, inclusive and social. In general, the Brazilian people are extremely endearing and energetic, and they like to be a part of things. There is a going-out culture throughout Brazil, as Brazilians love to go out on the town, meet with friends and family, and spend time socializing. The hallmark of Brazilian culture is the receptiveness and eagerness of the people to experience new things and meet new people. Business Environment – At the higher levels, Brazil’s business environment is characterized by corruption and greed. Many of Brazil’s wealthy fly around in helicopters and spare themselves no luxury while the majority of the population lives in absolute poverty. But amongst the middle-tier and the younger generation, a new business environment is being formed, one based on trust, collaboration and openness. The Brazilians are very globally minded and the majority of entrepreneurs and business professionals speak English. Their natural spirit of entrepreneurship makes them open to dealmaking, partnerships and new ideas. 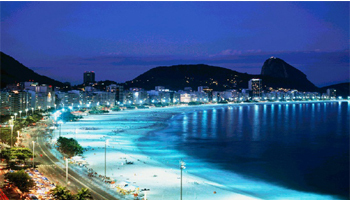 The Market – Brazil has over 200 million people and the middle class is growing at a rapid pace. These middle class Brazilians want a lot of the same things that we have in North America (the i-Phone, Rayban sunglasses, etc. ), but they pay a premium for them, in most cases 2-3 times the price we pay. The Brazilians are feeling the growth and are excited to spend their money on top-tier international brands. With such a large population, Brazil represents a huge opportunity for many new companies looking to expand into global markets. 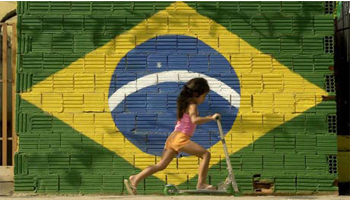 Social Issues – Globally, Brazil ranks amongst the poorest in terms of many social indicators and income disparity. Many Brazilians live in abject poverty in favelas and have little or no social support. But Brazil is also growing a strong social entrepreneurship sector and is seen as a model in many regards for how to develop a strong social business sector in an emerging economy. Despite the large number of social issues, many Brazilians I met demonstrated an awareness of the problems and a desire to want to solve them, especially the younger generation. Challenges – The biggest challenge with Brazil, in my opinion, is the language. Portguese is the language that you hear throughout the streets wherever you go, and there are many places in Brazil where very few people speak English. In Sao Paulo for example, many people working in prominent companies will speak both, but it would be difficult to navigate through Brazil with English alone. 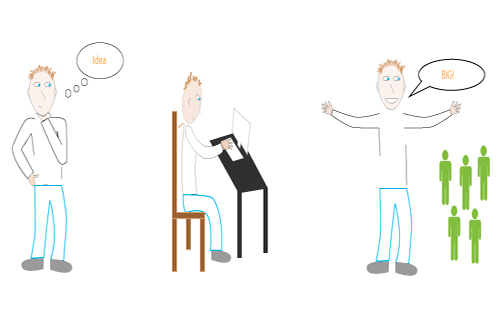 Portuguese is quite a difficult language to learn, but the Brazilians get excited when anyone makes an effort to learn even a few words. The second major challenge is social issues. You see a lot of the direct affects of the social disparity simply by walking the streets of any major city; this disparity leads to crime and creates a palpable social tension; therefore, a foreigner needs to be careful and ensure that he/she is traveling with, or based on the advice of, local Brazilians. Barriers to Entry – Brazil is notorious for its bureaucracy. The Brazil Cost, for example, is estimated to be about 5 months, and it refers to how long it takes to open a new business in Brazil. Then there are the visas, which anyone from North America needs to enter the country, even as a tourist. There are also a number of other smaller barriers that make it difficult for a foreigner to successfully enter Brazil. In general, with the language included, there are many barriers that make it difficult to enter Brazil. *Young Entrepreneurs*– the following video, O Sonho Brasiliero (the Brazilian Dream), highlights the emerging youth movement in Brazil. Lead by entrepreneurs and advocates for social reform, Brazil’s young generation is armed with the energy and enthusiasm to transform the nation into one that is much more equitable and efficient. What impressed me the most about Brazil’s young entrepreneurs was their sincere desire to change the system, rather than simply start something to be a part of the startup scene. I believe that these young entrepreneurs will redefine Brazil over the decades to come and shape the country into a global mecca for entrepreneurship. Social Business – the combination of the fact that Brazil has a large number of social problems and there is a natural spirit of entrepreneurship amongst Brazilians, leads me to believe that the social business/entrepreneurship sector will become world class, and act as a beacon for other emerging economies looking to solve large-scale social problems. An Abundance of Resources – Brazil has so many natural resources, from oil to fresh fruit, which so many people in the world will covet. Because so many of these resources still remain untapped, Brazil has the opportunity to become a leader in sustainable resource development in the decades to come and share its treasures with the world. 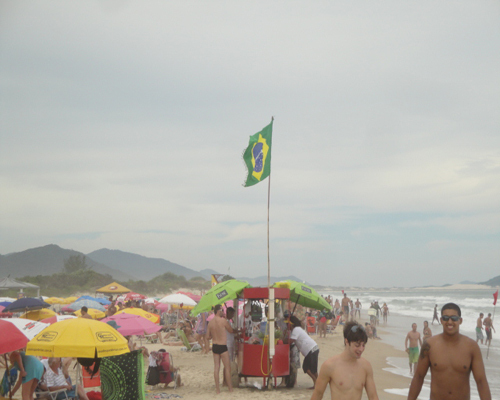 Overall, the best part of Brazil is that it’s fun, it’s alive and it’s open for business. Any company, big or small, that wants to expand its presence internationally needs to put Brazil on the radar and start researching strategies to enter the market. As Brazil is now officially one of my favorite places in the world, I will continue to research new opportunities and develop new connections. Feel free to drop me an email (joel at lumosforbusiness dot com) if you are interested in discussing more about Brazil. The average person’s average day is filled with a series of repetitive habits and tasks, all strung together by a seemingly random series of events, encounters and experiences. 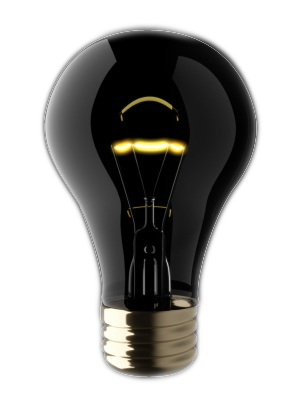 During one of these average days, the light bulb inside is probably not burning at its brightest. But there you are one day, going about your normal routine: sipping your coffee, walking the dog, checking your email etc., when it hits you. 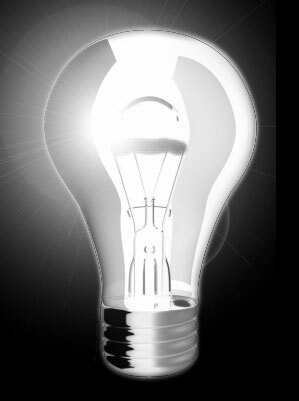 The light bulb goes on, and suddenly you find yourself with a big idea; and when we say big idea, we’re talking about something with knock-your-socks off potential, something you can’t ignore. So when this big idea hits you, what do you do? We want to know. We want to know what you do when you get a big idea. Overall, entrepreneurship is a chance worth taking as long as you go into it with the right mindset. Free yourself to learn and think of it as a journey of discovery. Real innovation requires a bold group of entrepreneurs to venture into the unknown and solve a real-world problem. So saddle up your horse and giddy up, and let’s buck this trend! In the last blog, we talked about how rarely a new product or service is created to meet the market’s needs, and how the combination of business model innovation and design thinking can be leveraged to overcome this. Even with these tools, however, you can’t build a company to scale unless you commit to learning lessons the hard way and letting the market be your guru. Often referred to as the invisible hand, the market is seen by some as the omniscient force that runs the world (of business that is). 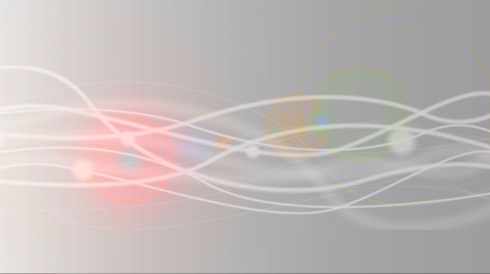 Never spoken to or heard from, it ebbs and flows (or booms and busts) in natural cycles over time. Over the years, a number of people have decided to ignore the market and play by their own rules. The group shares the same thought, consciously or not: their invention is so exceptional that the market will change to suit their needs (or their product). Ignoring the market has allowed many to stay up in their cozy ivory tower, where their idea is like a warm blanket. When they come down to share their creation with the world, the market provides a cold, hard landing to help the realities set in. There is no shortage of examples to prove this point, but perhaps the most prominent one in recent memory was WebVan, an online grocery service started at the height of the dot-com bubble. Relying on the revenue projections from a fairytale business plan, the WebVan Group managed to burn through $830-million in 18 short months to try and convince people that online grocery shopping was the revolution they had been waiting for. The problem, naturally, was that very few people were ready for or wanted the WebVan revolution to take place. Many other companies have gone by the wayside in similar fashion — it happens on a daily basis in the startup world. Ignorance is bliss until the day you face the music, and in no realm is that more true than entrepreneurship. Staying inside your head, dreaming and hyping your own idea, is like skydiving off a cliff without a parachute – the view is phenomenal until you hit the ground. Equip yourself with a parachute by opening yourself up to market feedback right from the outset and let the market forces guide you. It takes some tenacity and courage, but getting out there is the key to building a successful business. It’s the first step toward letting the eternally wise market determine whether a business can be built around your idea. So how does one start? It starts with a value proposition. For people to be able to assess a new product, idea or service, they have to understand what it does, why it exists and what makes it unique. 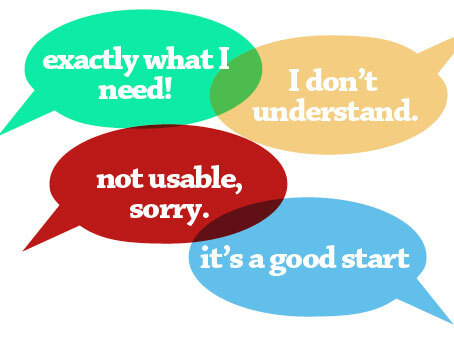 Clear, concise communication of the value proposition is the first step. Next, build something off of the value proposition. 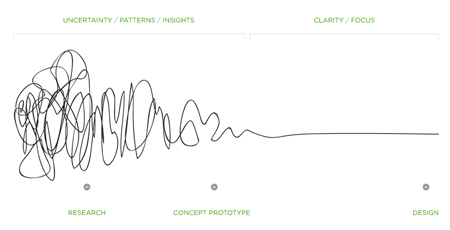 Whether it is as simple as a rough sketch to illustrate the concept or a complete prototype, create something that people can see, touch or feel. When you have something tangible, it is time to listen, ask questions and encourage different viewpoints, even if they conflict with your own. Staying open and facilitating an honest dialogue is the key. If the response is great and there is some measureable progress, move to the next step. If not, make some changes and try again until you have something concrete to build from. When you have some real market knowledge in your back pocket, it’s time to move to the next level. Create the business model, develop a business plan and get ready to move it into the market. Obviously this process is slightly oversimplified, but the core idea is easy to understand: get out there and validate your idea with a reasonable amount of feedback before investing time and money into it. No product or service will make it in the long term without the market’s approval. You need to ask the right questions and take the necessary measures to see if an idea really has what it takes to build a business around. The best thing you can do is the simplest — put your idea out there and let the market be your guru. Check out the final part of our series on Spurring Innovation, when we take a look at Wesley Clover to analyze their model of innovation and the success it has yielded in the marketplace. We’ve all experienced it — the moment you buy something, take it out of the package and lay your hands on it, you feel like it was designed just for you. Unfortunately, those moments are few and far between, which is why we need to take the creativity process that we talked about in our last blog to the next level. In this blog, we look at how design thinking and business model innovation combine to form a dynamic duo that can help bring brilliant products and services into our daily lives. Everyday, we use an array of products or services that make us scratch our heads and wonder why nobody has come up with something better. There are so many itches to scratch and niches to fill around the world, yet time and time again, a new product fails to satisfy the market. That’s because the focus has traditionally been more centred on the product itself rather than the people using it. Recently, however, two new schools of thought have emerged that help realign this focus: design thinking and business model innovation. 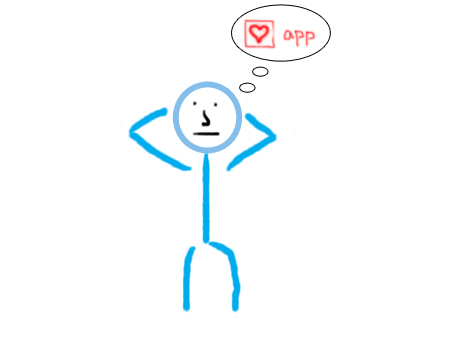 Design thinking looks through the eyes of the end user to solve problems; in the context of business, it’s about focusing on the needs of the customer to develop a solution. A business model is defined as how a company plans to create, capture and deliver value to customers. Business model innovation is focused on finding ways to reinvent or evolve the business itself to align customer needs with what the business provides. What design thinking has lacked in the past is a structural business framework to accompany it. However that all changed this year when Alex Osterwalder wrote Business Model Generation and created a brilliant canvas that breaks a business model down into nine essential components. 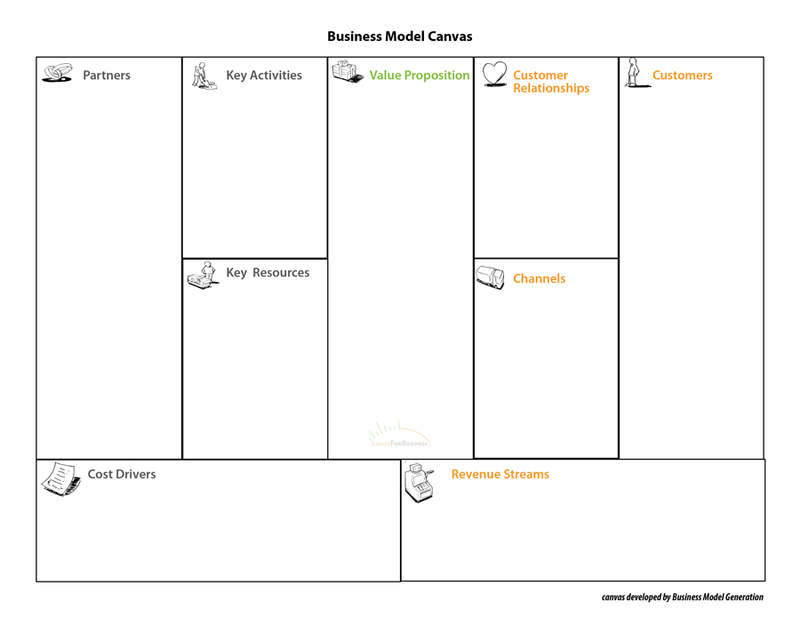 Combining a simple, ubiquitous tool (the business model canvas) with the creative, uninhibited mindset of design thinking can help companies reset their focus on their business model rather than their next product release. Without a rock-solid business model, no company can survive over the long run. Finding that perfect way to “create, capture and deliver value,” however, requires unique customer insights and a creative touch. Design thinking is a great catalyst to set the process of finding the right business model in motion, as it helps a company identify the specific problem that affects a segment of the market and come up with a solution. 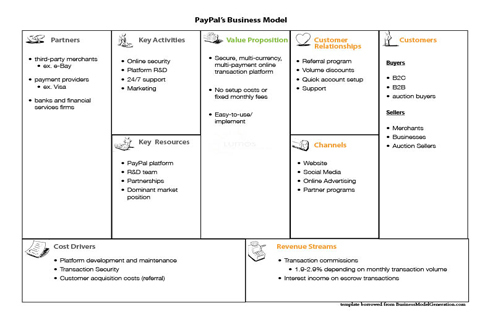 To show how business model innovation and design thinking can combine to knock the socks off the market, let’s look at PayPal and how they pioneered the online payment industry. PayPal, which was started in the late ‘90s, was originally meant to be a mobile application to transfer money between PDAs. When the founders realized that this wasn’t something that anybody wanted they shifted their focus to the growing Internet, and especially eBay, to try and save the company. What they quickly realized is that no one had come up with a solution to painlessly make payments between buyers and sellers. Other companies had tried to implement e-currencies to fill the gap, but had missed the mark. PayPal focused on designing a customer-centric solution based on existing infrastructure – they used email as the medium and made use of pre-existing bank accounts and credit cards to facilitate user-friendly e-payments on eBay. Their solution was simple and it worked. 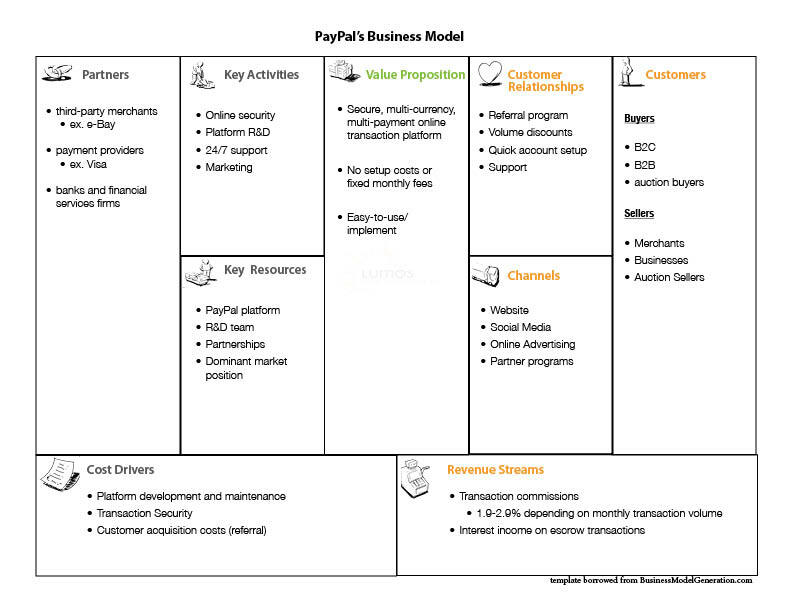 Once users began adopting the solution, PayPal began looking for the business model to scale the company. Originally, they thought that they could make money from the interest on payments held in escrow between accounts. They quickly, realized, however that this idea wouldn’t work and changed the model to a commission-based model per transaction, which has helped them become an industry leader and pioneer in the digital payment world. PayPal was not the first company to focus on the e-transaction market, nor were they the first company to create a payment acceptance application for merchants. They staked their claim by developing a user-friendly solution and finding the perfect business model. It’s a classic example of how design thinking and business model innovation were used to make the business scalable, and more importantly, give customers something worth getting excited about. Overall, the business model innovation/design thinking combination can be used to create new businesses that put great products and services in the hands of customers. Very few businesses fail because the technology wasn’t good enough, or a product wasn’t durable enough; it’s because they didn’t design their business to provide what the customer was looking for. In our last blog, we talked about why failure is a misnomer and how it’s really part of the innovation process as a whole. With a strong idea and a fearless group of individuals, anything is possible when it comes to innovation. But to come up with something really innovative requires a large degree of creativity. In this blog, we look at ways to break down silos, those intra-organizational barriers which prevent two groups from collaborating, and catalyze a company’s creativity. Having in-depth knowledge of the product or problem to be solved is the first part of the equation. The more you know, the greater the probability of inventing something that has impact. Knowledge is the x-factor, but it’s nothing without the y-factor, creativity. It’s creativity that helps transform knowledge into something innovative; without it, products or services lack those new and novel attributes that catch the market’s attention. Unfortunately, in most organizations, creativity is limited to the colour of fonts you choose in your PowerPoint presentations and spreadsheets. Since creativity is not tangible and cannot be measured, it often gets overlooked and pushed aside. That’s why the subhead of the National Post’s article titled, “The Death of Canadian Innovation,” says “The price we pay for pushing too much paperwork.” The issue is crystal clear: we need to shake things up and revitalize our business practices. To achieve this we need to look at two barriers that stand in the way: organizational stereotypes and a hyper-focus on productivity. 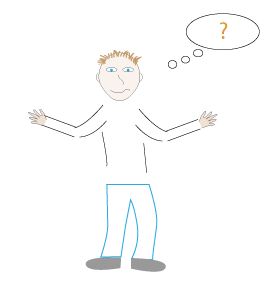 Stereotypes in our business culture are huge obstacles to the creativity process. Typically, marketers are considered creative, accountants straight-edged and techies geeky. When you put creativity and accounting in the same sentence, for example, people usually think someone is cooking the books. And yet — an innovation to the tax code could have a more profound impact on society than any typical creative endeavor. These stereotypes in organizations and institutions lead to the development of silos, where communication between departments breaks down and different business units become segregated. Combine that with a culture where productivity is squeezed out of every possible minute, and a stranglehold is put on the creativity and collaboration process that fosters innovation. So how do we get away from old habits to spark creativity and break down the silos? Creativity has to be encouraged and facilitated. To really develop creative ideas in a company, campus or group of friends requires some leadership and imagination. Rather than thinking outside the box, just make it a little wider and more enjoyable to be in. 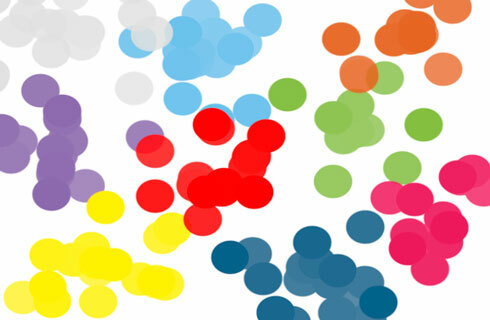 Add some colour, chaos and charisma to the process. Take for example Alex Osterwalder’s new book, Business Model Generation, which provides a step-by-step guide to creating new business models. The book is illustrated with fun, colourful drawings on almost every page. Just looking at the book makes you want to get creative. The authors actually encourage people to get out the crayons and multi-coloured sticky notes to try and draw business models. While most people cringe at the thought of drawing, it can be amazingly effective at adding clarity to an idea. Going further, there are countless other ways to inspire creativity in the workplace. You can organize a group of coworkers to discuss crazy ideas, start an ideas competition, give employees a day off to explore creative endeavors, the list goes on. The next step is breaking down the silos, which is as simple as making cross-disciplinary collaboration less arduous. That means encouraging the engineers to talk with the marketing guys and the programmers to have lunch with the accountants. One way to do this is to have people in different departments, or roles, switch places for the day. The CEO, for example, could switch places a member of the production team, which helps build an understanding of how each unit plays a specific part in a company’s overall success. Because if the business guy gets an idea, he’s going to probably need the help of either an engineer or computer programmer to make it a reality. You don’t want anybody to be shy when it comes time to discuss the details behind a new idea. There is no better example to illustrate the merits of cross-disciplinary interaction than Ideo, the world’s most famous design consultancy. These guys design the products, apps and services that we use everyday to make our lives easier. To do it, they get a group of people from all different disciplines together in one room, encourage people to bring wild, crazy ideas to the table and let chaos run its course. The results are continuously astounding. Overall, bringing a new and novel idea to fruition requires a large dose of creativity. Unfortunately, it is often stifled in organizations and institutions everywhere, which is why the silos need to be knocked down. And in business, where the bottom-line is still the bottom-line, creativity and imagination always lead to the great product or service that really knocks the market’s socks off. So get in touch with it before it’s too late. _Next time, we talk about two powerhouses: business model innovation and design thinking; and look at how they can be combined to create the next generation of businesses. Check out Part IV: Business Model Innovation and Design Thinking, a Dynamic Duo. In part one of our series, we talked about looking abroad for inspiration and ideas. An idea is only the beginning of the innovation process, as it takes a combination of people, capital, hard work and a little luck to bring it to fruition. Many people, however, are apprehensive to take a chance for reasons that can best be summed as a fear of failure. In this blog, we talk about why failure is a misnomer and how the fear of it holds back many potential innovators. Failure is something that no entrepreneur (or anyone else for that matter) wants to be associated with. The truth of the matter, however, is that the majority of businesses fail. On average, sixty percent of businesses fail within the first few years of operation. While most people accept in principal the risks associated with starting a new venture, in practice, the fear of failure prevents many from doing so. Failure is the dreaded f-word in business. It’s important to understand the paradox between the fear of failure and innovation. Innovation, by definition, requires taking a risk, and where there’s risk, there is the potential for failure. Without an acceptance of failure engrained in our culture, the innovation process is suppressed. Perhaps there is no better recent example of an entrepreneur staring failure directly in the face than Elon Musk and his Tesla Motors. Despite a high-flying start and a hugely anticipated product, the Tesla Roadster, a high-end electric car, the company found itself in dire straits just a few years out of the gate. Cost overruns and major production hurdles sent Tesla into a downward spiral. In 2007, with the company’s future hanging in the balance, Musk executed a brilliant maneuver to get Tesla back on its feet by signing a licensing deal with Daimler. Just as things were looking up again, the 2008 financial crisis hit, and both Musk and his company were on their last legs. Despite having previously made over $200 million through PayPal, Musk had invested everything in Tesla and was down to his last $20 million, leaving him at the moment of truth – invest everything to save the company or let the Tesla dream go. Musk made a bold decision to go for it and convinced his other investors to put it all on the line as well. It was a move that not only saved the company but also the future of the electric car. Musk’s fearlessness serves as a great example to show why it’s important to move past mistakes and difficult circumstances, and transcend the concept of failure. Your peers will not give you a failing or passing grade for trying to start a business, or for creating a new product, or for coming up with a new idea. If the initiative doesn’t go as planned, c’est la vie. You learn hard lessons, especially if your business fails, but you are stronger for it. That’s why failure is a misnomer in business. It’s not to say that everyone should wake up and become an entrepreneur, or try and create the next disruptive innovation. But if the fear of failure holds you back, then it’s time to move forward because at the end of the day, you’ll be happier taking a shot, a well-thought out risk, rather than asking yourself what could have been. In the next blog post, we look at the creativity factor behind innovation and the silos that stand in the way … check out Part III: Catalyzing Creativity and Breaking down Silos. It’s time to buck the trend and put the spurs to ‘er – Canadians need to get serious about innovation, before we get trampled by our competitors and left in the dust. In Lumos’ new multi-blog series, “Spurring Innovation in Canada,” we dig deep and find ways to saddle up and kickstart innovation in our economy. The headlines tell the story: “The Death of Innovation in Canada,” “Canada’s Sorry State of Innovation,” Canada has everything going for it — except for innovation,” the list goes on. The strong emergence of our country from the financial crisis in 2008 has recently been overshadowed by reports highlighting our lackluster performance in innovation. It has officially become the elephant in the room that can’t be ignored any longer. While there is no official metric to measure a country’s rate of innovation, there are a few effective ways to assess it. The number of patents filed is one commonly used metric, and Canada holds just 1.36% of patents filed worldwide compared with 30% held in the U.S. The Conference Board of Canada gave Canada a ‘D’ grade for its innovation environment and ranks the country 14 out of 17 . Clearly the proverbial socks needs to be pulled up. Business and government leaders across the country have stepped up to the microphone to offer their two cents on what it will take to spur innovation in our country. The Canadian Council of Chief Executives issued a report with ten high-level recommendations, while Industry Minister Tony Clement chimed in by saying, “The key is for Canada to differentiate and not to imitate.” Everyone is joining the conversation. Naturally, everybody wants to try and understand how we got here. One survey of Canadian CEOs suggests there is a strong tendency toward risk-aversion among executives, as well as a culture of complacency. Since innovation, by definition, requires taking a risk, it is easy to see how innovation could be crimped in this kind of environment. To really get to the heart of the issue, however, requires digging a bit deeper. Check out Part I: Inspiration from Abroad , as we look at why second- and third-world countries provide great sources of inspiration for innovation, and how immigrants to Canada are helping us pull our socks up. It’s no longer a secret. Brazil, which could only dream about its own potential in the 20th century, is no longer a could-be. They have arrived on the world stage and are ready to transform the global economy in profound ways over the coming decades. While resources and agriculture underpin this powerful economy, a rising tide of entrepreneurship is beginning to emerge. In this blog, we paint a picture of the entrepreneurial landscape and look at the opportunities that exist within the borders of this colourful nation. Brazil has had a long history of unfulfilled dreams and ambitions. Locals believe Brazil is God’s country due to its bountiful resources and natural beauty, yet political and social issues have weighed it down since the country officially came into existence. But touch down on the runways of Sao Paulo, Brazil’s financial capital, and all this will be forgotten. Beyond being greeted by scorching heat and an amiable Brazilian or two, you will also get a first-hand encounter with the break-neck growth the country has achieved over the last decade. The country’s transition began in 1995 under the leadership or Fernando Henrique Cardoso, who introduced a number of business-friendly polices and laid the groundwork for Brazil’s rapid expansion. Cardoso gave way to Lula in 2002, who furthered his policies and lead the way towards unprecedented growth. On the back of their resources, specifically deep-sea oil and gas, and agricultural sectors, Brazil has transformed itself from a country that needed IMF loans (in 1998) to a country that now makes them. Brazil added a big feather to its cap in 2008 when it was given an investment-grade rating by international ratings agencies. Since that time, billions of dollars in foreign capital has poured into the country, adding fuel to the already red-hot fire. The other notable feather in the cap was a successful bid for 2016 Summer Olympics, which along with the 2014 World Cup, will be Brazil’s official coming out party. The robust economic growth, stabilized currency, and influx of foreign capital have helped put Brazil on the world map; now the pieces are beginning to come together for the emergence of an entrepreneurial culture that could take Brazil to a whole new level. Many roadblocks still stand in the way of up-and-coming entrepreneurs, but the foundation is in place to build businesses that can transform the national and international landscape, both socially and economically. When you consider that the population of Brazil is 200 million, you can immediately see the scope of the opportunity that presents itself to entrepreneurs. GDP per capita has risen from $1,000 per person in 1970 to $10,000 in 2008, giving once impoverished Brazilians an opportunity to live a much higher quality of life. While income disparity issues are a factor, more than half the population is now considered middle class. The rise in purchasing power, combined with the sheer number of consumers, create a market that is as ripe for innovation and entrepreneurship as the fruit they grow on their trees. Despite Brazil’s recent surge in economic activity, there are still a number of inefficiencies that exist. These inefficiencies have created gaps in the market that are non-existent in first-world countries, gaps that need to be filled to ensure the continued progression of the country as a whole. To those who are able to capitalize on the opportunities, the payoff is potentially monumental. Take Sack’s, a leading perfume e-commerce retailer that recently sold a 70% stake in its business to LMVH (Louis Vuitton). The company was started in 2000 by two entrepreneurs, one whose dad owned a store that sold some perfume. The duo put up a website and began e-retailing perfume and cosmetics, and immediately demand was so great that they had to import large quantities of these items to keep up. At the time it was sold in July 2010, the Company had over 830,000 customers and was one of top-three most visited sites in Brazil with over 4 million unique visits a month. With so much capital pouring into Brazil and a wealth of opportunities, entrepreneurs are becoming the next hottest commodity after oil and gas. From venture capitalists who want to back the next Sack’s, to foreign companies looking to gain access to the untapped masses through M&A (mergers and acquisitions), the money is there and ready to deploy. Despite the enthusiasm, however, there are a number of roadblocks that stand in the way. So what barriers exist in Brazil that prevent entrepreneurs from moving forward? For starters there is the notorious “Brazil cost” that anyone starting a business has to deal with. It refers to the loads of documents, forms and regulations that need to be addressed before starting a business. It takes about 5 months on average to start a business in Brazil, one of the longest times in the world for a country of its stature. 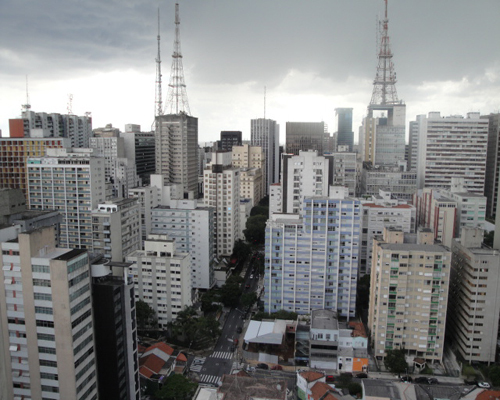 While not very prevalent at the grassroots level, corruption is still present in the Brazilian business culture. Despite having improved immensely in recent years, it is still something that any business owner needs to be aware of when doing business in Brazil, especially in the upper echelons of the corporate world. Another challenge is related to human capital, as finding a group of skilled, entrepreneurially minded individuals to build a team with is not as easy as it would be in other countries. Finally, there are issues related to resources and infrastructure that would be uncommon for North American entrepreneurs. Despite Brazil’s growth, they are still emerging from decades of underdevelopment and consequently their technology and infrastructure are not on at the same level as a country like Canada. These issues reduce the efficiency of entrepreneurs and make it more difficult to achieve scalability. To effectively launch a business in Brazil requires individuals who have the street smarts and business savvy to navigate through the myriad of hurdles. Fortunately for entrepreneurs, they have the support of government, universities and the business community to help them start out. According to one publication, “Brazil symbolizes the way continents of the South are ramping up efforts to nurture new businesses,” which can be seen numerous government programs, such as PRIME, which will give $65,000 to 10,000 startups over a four year period. Additionally, a number of incubators, many based out of universities, have been created to offer training and guidance to new companies in the tumultuous early stages. The incubation also extends into the social sphere, as places such as The Hub in Sao Paulo have sprung up to spur social innovation. All in all, there are many signs that the pieces are coming together to help entrepreneurs get off the ground. There are no shortage of opportunities on the horizon in Brazil, so if you are sitting there wondering about whether or not it would be a worthwhile endeavor to start engaging with a few Brazilian entrepreneurs to learn more about what is going on, the answer is an emphatic yes! Brazilian entrepreneurs are typically characterized as warm, hospitable and very internationally minded. The majority speak English fluently and are surprisingly keen to talk about the latest business book, great speech or software program to hit the market. Their openness and charm makes them easy to meet and engage with, which makes the process of building a network n Brazil a breeze compared to other countries. Overall, a wealth of opportunities will emerge as an entrepreneurial culture begins to take root in Brazil. Despite the host of challenges, there is a new sense of confidence in the country that will help propel entrepreneurs over the hurdles and encourage them to take the risks necessary to develop a new breed of businesses that bring social, technological and economic innovation to Brazil’s approximately 200 million citizens. It will be fun to watch new developments unfold and see the country come into its own as an economic, cultural and entrepreneurial hotbed. A large portion of research and facts in this blog were taken from Larry Rohter’s book “Brazil on the Rise.” Additional information was sourced from on the ground in Brazil. The blog was written to paint a broad-strokes portrait of the country’s entrepreneurship culture, and while every detail was researched to some degree, it is possible that some aspects are under, over or misstated. Feedback from any angle is welcomed. We are fast approaching the tipping point for a worldwide microfinance movement. Through online portals, more and more companies are leveraging the power of the crowd to fund ventures of all types. It is only a matter of time before the typical model of funding a venture becomes obsolete, as entrepreneurs will start looking for faster, more efficient and less demanding ways to raise capital. If entrepreneurs are the engine of the economy, and cash is their lubricant, then new ways need to emerge to ensure that entrepreneurs get what they need to fire on all cylinders. The economic collapse in 2008 reminded everyone of how quickly the credit markets can dry up, as many small businesses were left with no access to capital or credit to stay afloat. If the same thing happens in the future, my guess is that there will be many ways to get a quick cash infusion, without going to a bank, thanks to a new generation of funding websites. The idea behind microfinance is that it is a lot easier for many people to invest small amounts of money in a project than for one or two people to contribute large sums. The father of microfinance, Muhammed Yunus, conceived the idea while talking to a group of local craftsmen in Bangladesh. After seeing that this group needed only $27 dollars to get their business venture off the ground, he realized that an opportunity existed to bring a whole new level of finance to the underserved third world. What happened next is history, with Yunus turning Bangladesh into the birthplace of microfinance and founding Grameen Bank, which now lends money to millions of people worldwide. Websites harnessing the power of the masses to fund people and projects around the world are popping up everywhere in all sectors. The first company to build a successful online microfinance model was Kiva, but now a whole new wave of companies are entering financial markets around the world. Kickstarter out of New York is crowd-funding creative projects; Community Lend of Ontario is facilitating community-based lending in local markets; Podium Funds is bringing crowd-sourced investing to the private equity market in Calgary; and Prosper is making peer-to-peer lending a common practice in the United States. All this is evidence that while the market is young and there are many challenges ahead, the movement is starting. It won’t be long before a new company comes along and puts all the pieces together, allowing the best and brightest of the entrepreneurial crowd to get on-demand funding in record time. The question is, who will lead the charge toward this new model and what will that model be? Will a big institution or fund break from tradition and come up with a truly innovative model of microfinance for entrepreneurs, or will it come from the grassroots level? The traditional way of lending, typically slow and inefficient, will not suffice for the new generation of entrepreneurs who are required to be nimble, resourceful and quick in order to compete in their respective markets. Beyond that, there are thousands, if not millions of people in the developed world who are willing to part with some of their hard-earned cash to fund entrepreneurial endeavours, they just need an opportunity to do so. The microfinance model that brought Bangladesh out of abject poverty has spread throughout India, Africa, South America and many other nations to help fund small businesses, start-ups and social projects. The model is proven and there is now a group of businesses about to make their mark in markets across the developed world. The question is not if, but when will the new trend reach its tipping point and start to give entrepreneurs the ability to raise capital using a microfinance model? I don’t have the answer, but it will be fun to see it unfold and become a part of it all, as it will dramatically alter the playing field in favour of entrepreneurs worldwide. Every entrepreneur needs financing for their business. Whether it’s seed money, second round or rocket fuel, most early stage businesses are actively seeking financing. And this access to capital is what 95% of companies struggle to find. This is partly due to the nature of the business and partly due to lack of preparation and knowledge. Contrary to conventional industries, the technology business is all about the idea and often requires a “leap-of-faith” investment (ie. investors will supply capital based on the strength of the management team, the quality of the idea and the diligence that’s been done on the planning side as opposed to secured loans). The tech company has no assets and more than likely can’t get a traditional bank loan. Furthermore, like it or not, there are hundreds of thousands of people out there that have a technology product/idea that they think will “make it big”. We guarantee that if you’ve thought of a great product that fulfills a need in an unserved market, 50 people have thought of the same idea. I don’t mean to be a downer, but many others have thought of the apartment cleaning robot that you’re in the process of designing. Bottom line: thousands of entrepreneurs are competing for the same dollars. Who gets those dollars? It comes down to a function of the four P’s (not the marketing P’s): the people, the product (or service), the planning and the pitch. So, what am I getting at here? Well, technology investors see thousands of people, products, plans and pitches. You would be shocked at how many entrepreneurs are hung out to dry when they are asked by investors what their competition is doing or how competitive their market is. DO YOUR DILIGENCE! You absolutely absolutely need to know your competitive market, including both your direct competition and your indirect competition. You then need to figure out where you fit in – this is essential when presenting your product to investors and accurately forming your value proposition. Nowadays, it seems like so many tech companies are aspiring for the same goal: venture capital (VC). Multiple VC companies from Canada and the US plod around searching for the next big company to infuse their money into, while local tech companies pray to be discovered. Most tech companies are fueled by a dream of being bought out for millions, so the founders can retire on the beach or be promoted to high paying executive jobs in the big tech companies. The desire to meet the VC standards leads to exalted expectations, inflated revenue numbers and a corporate strategy that requires the company to grow at breakneck speed. The typical VC company will only look at companies who have the ability to be generating $50 million in revenue by the 5th year. Only the companies with all the stars aligned are able to create a compelling case that they can hit this number, and they get the cherished VC dollars. In September, we attended a California investor bootcamp in Victoria held by SVASE. According to SVASE, a reputable VC company will see 25,000 business plans each year from businesses seeking funding. Of those 25,000, only 10 will ever get funding and of those that do receive funding only about 40% go on to become profitable ventures. With odds like that, it becomes obvious that VC is probably not always the best option for most companies. A market of at least $500 million, but ideally $10 billion. That’s big! A working product or service that is proven and people are paying for. You need $1,000,000 and you’ll be cash flow positive within 1 year of launching your business. The bottom line with VC money is that it is not meant for everyone. Like anything, there are positive and negative trade-offs to getting VC money, but most companies are myopically focused on the big dreams they have for their companies. Any startup needs to realize that while bringing in VC (assuming they qualified) may bring in cash and expertise to the company, they will lose a lot of the control and freedom that may have brought them to start their own business in the first place. There are multiple alternatives that are worthy of exploring. Many companies have found success bootstrapping and entering a slow growth mode until their sales allow them to expand. Others have used small batches of funding from friends and family until the company is able to be self-sustaining in its growth. Whatever route you decide to take, the most important thing is to develop a good business model for the company. 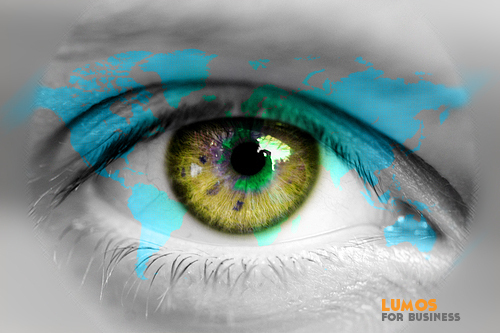 Companies like Lumos exist to provide cost-effective options for those who are looking to get their company to the next level.